Kuroda Sensei was born in 1950, in Saitama Prefecture, Japan. At the age of one year, Kuroda Sensei began his training in his family's system of martial arts, or ryu-gi, of Shinbukan Kuroda Dojo, under the instruction of his grandfather, Yasuji Kuroda, and his father, Shigeki Kuroda. 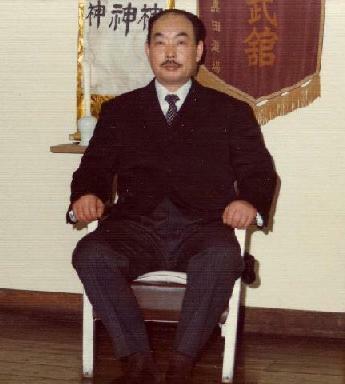 At the age of twenty, Kuroda Sensei was awarded Hanshi Hachidan in Kobudo by the Dai Nippon Butokukai. This was a national record in Japan for such a young person to be given such a high rank. Kuroda Sensei is the fifteenth Soke of his family's system. He is known for his "Disappearing" or "Hidden Movements". Kuroda Sensei is the only teacher of his system. *Anyone or place that claims to teach Kuroda Sensei's ryu-gi is not an official student of Kuroda Sensei, and does not have Sensei's permission to teach his ryu-gi, and certainly does not have the knowledge, experience, and understanding of the ryu-gi to teach anyone else these complicated systems. 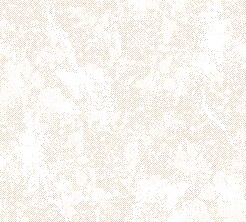 All Pictures are the property of Tetsuzan Kuroda, and are not to be copied or used without his expressed permission. 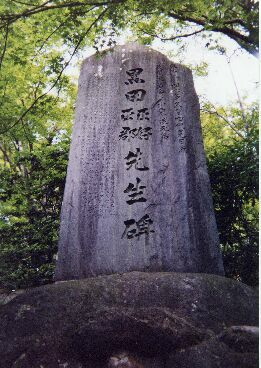 Shinbukan Kuroda Dojo was founded by Yahei Masayoshi Kuroda in 1848. 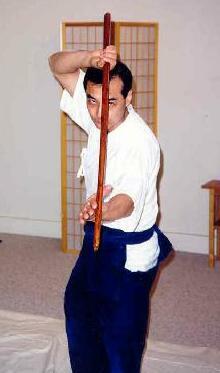 Yahei Masayoshi Kuroda learned these arts from Genzo Noguchi, the Soke of these arts. Genzo Noguchi was so impressed with Yahei's abilities, that Noguchi named Yahei the next Soke of the styles. Komagawa Kaishin-ryu Kenjutsu was founded by Tarouzaemon-Kuniyoshi Komagawa in the Sixteenth Century, A.D. Komagawa was a student of Kamiizumi Ise no Kami, the founder of Shinkage-ryu. Komagawa Kaishin-ryu Kenjutsu teaches the use of the following weapons through 2-man katas: tachi, kodachi, jutte, naginata, and nito (2 swords). 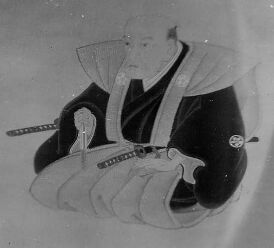 Tamiya-ryu Iaijutsu was founded by Gon-emon Muneshige Tamiya, about 350 years ago. 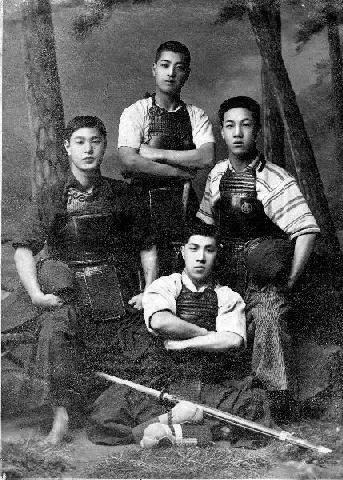 It comes from Hayashizaki Jinsuke, the original founder of iaijutsu, through Tamiya Heibei, founder of Heibei Tamiya-ryu , through Nagano Murakusai, to Gon-emon Tamiya, who founded his own style of iaijutsu, Tamiya-ryu. Tamiya-ryu has almost 70 wazas in it. Shishin Takuma-ryu Jujutsu was founded, according to legend, in the Tenth Century, A.D. Shishin Takuma-ryu is a classically-based system of jujutsu taught through many 2-man katas that is very soft in touch, and light in physical power applied. It forms the basis for using katana in kenjutsu and iaijutsu in Komagawa Kaishin Ryu and Tamiya Ryu by teaching you how to move your body properly. Tsubaki Kotengu-ryu Bojutsu was founded by Tsubaki Kotengu during the age of Keichou (1596-1615, A.D.). Tsubaki Kotengu was a pseudonym, and no one knows what the founder's real identity was. 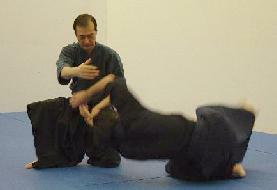 Kotengu-ryu teaches the use of the bo/jo against the tachi. "Kieru Ugokiwo Motomete--The Search for the Disappearance of Movement"
"Kenjutsu Seigi--The Details of Kenjutsu"
"Iaijutsu Seigi--The Details of Iaijutsu"
"Kikentai Ichi No Bujutsuteki Shintaiwo Tsukuru--Making a Warrior's Body Where the Spirit, Sword and Body are One"
"Kikentai Ichi No Bujutsuteki Shintaiwo Tsukuru II--Making a Warrior's Body Where the Spirit, Sword and Body are One, Part II"
and at this site in the USA. 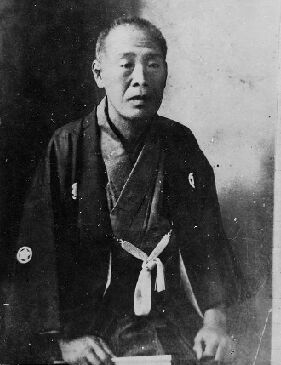 Yahei Masayoshi Kuroda officially founded the Shinbukan Kuroda Dojo in 1848. Shinbukan Kuroda Dojo was famous for training Samurai to the highest levels of ability. 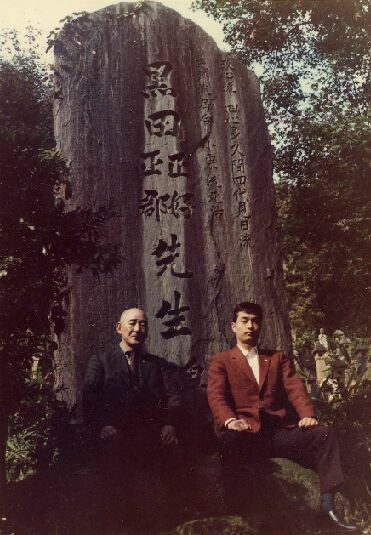 In 1921, students of Yahei's son, Hiroshi Masakuni, erected a monument to Yahei and Hiroshi Masakuni on Mt. Kureha, in Toyama. Yasuji Kuroda, also known as Tesshinsai, was an incredible Budoka. He was born in 1897. He received his Mokuroku in jujitsu and kenjutsu at the age of 15. He received his Menkyo in bojutsu and jujitsu at the age of 18. He then established the Shinbukan Kuroda Dojo in Omiya, Saitama Prefecture, at the age of 20. Shinbukan Kuroda Dojo, Shinbukan Kuroda Ryu-gi, Komagawa Kaishin Ryu Kenjutsu, Tamiya Ryu Iaijutsu (founded by Tamiya Gon-emon), Shishin Takuma Ryu Jujutsu, Tsubaki Kotengu Ryu Bojutsu, and Seigyoku Oguri Ryu are all copyrighted and trademarked by Kuroda Tetsuzan, and are not to be used for any commercial purpose, except for advertising the sale of Kuroda Tetsuzan's videos, DVDs, books and magazine articles without the approval of Kuroda Tetsuzan. 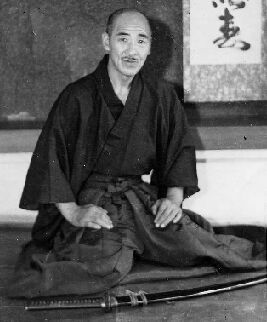 *Some of the information on Yasuji Kuroda comes from an article:"The Last Swordsman: Yoshio Sugino (Part 4), by Tsukasa Matsuzaki, Aikido Journal #113, Vol 25, no. 1, 1998, page 46. All pictures are the property of Tetsuzan Kuroda and are not to be copied or used without his express permission.